from the blue chair: Happy Thanksgiving! I hope all those in the US had a wonderful Thanksgiving full of lots of great food. My only assignment for dinner this year was a dessert (I was thankful for that). 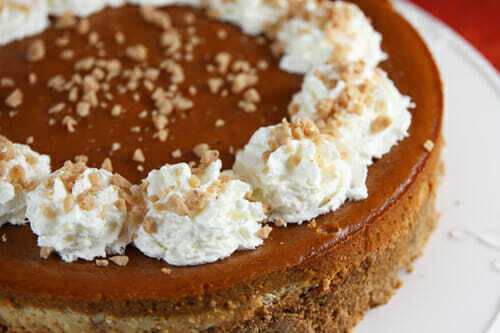 I made this amazing Pumpkin Toffee Cheesecake from Our Best Bites. It was really, really good. There was only one piece left, and it had lots of competition. We had a fun time with family and with our kiddos for the holiday. We talked with the kids about their favorite part of the day as we got ready for bed. Miss A reported that her favorite part was the Snow White dress-up shoes she found at her aunt's house. Miss C reported her favorite thing about the day was the Tinkerbell toy she found. Little Dude informed us that his favorite part was the noisy toy car he played with all afternoon. Good thing Aunt K has great toys at her house! I had some good sewing time in the evenings over the past week. I amazingly sewed up two complete quilt tops. First I started a project with a new Lucky Penny Fat 1/8th bundle. I love the colors of this line. I also sewed a quilt top with the pinks and oranges from Madrona Road. I've begun working on a second pattern as I'm wrapping up my first one very soon. My next pattern is based on my lattice tutorial. The pattern will include blocks in four different sizes as well as a couple variations on the block style. It's a simple and fast design that turns out really fun. I'm not venturing out tomorrow for any shopping. In fact the hubs offered to take the kiddos to the park for a bit in the morning so I can have some computer and sewing time sans kids. 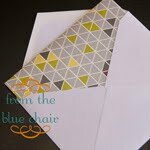 I'm hoping to use that time to baste my two quilt tops and make the final needed changes to my Honeycomb pattern! For those of you who would rather do some online shopping instead of fight the crowds, here are a few options! I'm offering 10% off anything in my Etsy shop right now! Use the code THANKFUL10. Craftsy is currently offering all their classes for $19.99 which is about 50% off the regular price of most classes. 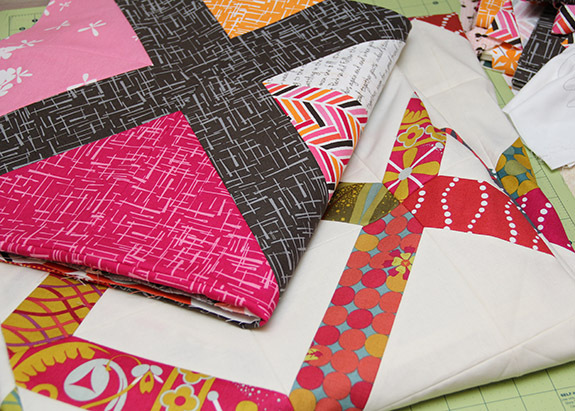 I just signed up for Machine Quilting Negative Space by Angela Walters. I'm excited to give their classes a try and have heard good things about this one. 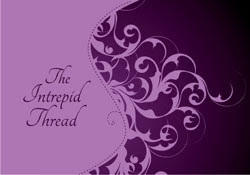 The Intrepid Thread is offering 20% off your entire order only on Friday and Monday. Use the code BFRIDAY20 and CYMONDAY20 to get the sale for those days. These codes are only valid from midnight to midnight Eastern Time on Friday and Monday. Westwood Acres has some fun items in her Thanksgiving Sale section. Check out the bundles available. 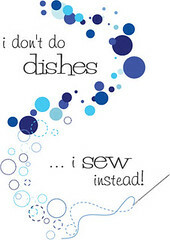 Caitlin over at I Don't Do Dishes has a few fun sales going on this weekend. Notting hill is 10% off, no coupon code necessary. Orders of in-stock fabrics over $60 can receive free US shipping with code "HEYTHANKS" - free shipping is NOT valid on Pre-Order fabrics. Salt Water and the Pearl Bracelets are available for pre-order. Pink Castle Fabrics is offering multiple sales including 25% off Kokka, Liberty Lifestyle, Yuwa, and all in-stock bundles and precuts. It's online shopping for me, or nothing. Sounds like you had a wonderful day! Every blog I go to people are trying to get me to buy fabric!!!! Guest posting today over at Pink Castle Fabrics! The Mini-Destroyers: Where are they now?